"It happened to me too. Does God care?" The #MeToo movement has revealed sexual abuse and assault in every sphere of society, including the church. But victims are routinely ignored by fellow Christians who deny their accounts and fail to bring accountability to the perpetrators. All too often, churches have been complicit in protecting abusers, reinforcing patriarchal power dynamics, and creating cultures of secrecy, shame, and silence. Pastor and survivor Ruth Everhart shines a light on the prevalence of sexual abuse and misconduct within faith communities. She candidly discloses stories of how she and others have experienced assault in church settings, highlighting the damage done to individuals, families, and communities. Everhart offers hope to survivors as she declares that God is present with the violated and stands in solidarity with victims. Scriptural narratives like those of Tamar and Bathsheba carry powerful resonance in today's context, as do the accounts of Jesus' interactions with women. God is at work in the midst of this #MeToo moment to call the church to repentance and deliver us from violence against the vulnerable. "In The #MeToo Reckoning, Rev. Ruth Everhart takes the church to task in what has been an abysmal response to sexual abuse behind its closed doors. Laying out proof of the abuse of the most vulnerable among us in the place that should be the most safe, she gives suggestions for how pastors, congregations, and the church at-large can begin to serve everyone through openness, victim support, and use of the legal system. With an unapologetic voice, she calls for the protection of individuals from predators that have too easily been not only allowed to serve but protected by spiritual leadership from pastors up through the highest liturgical powers that be. 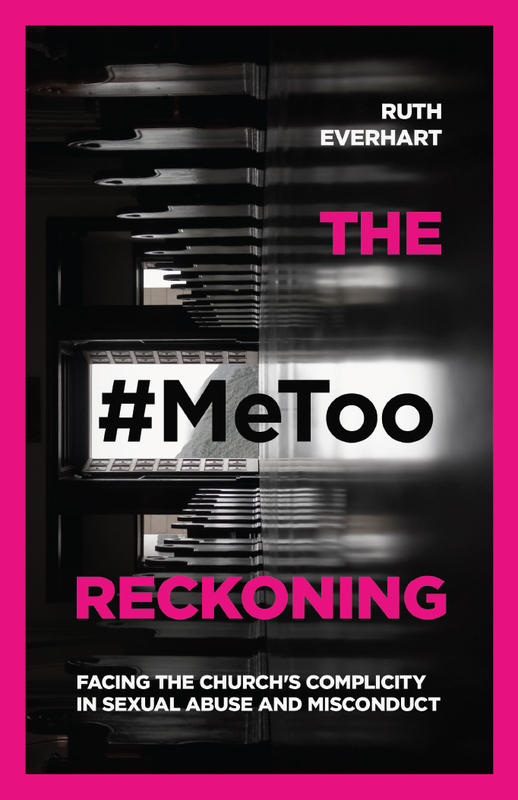 With personal experiences detailed as well as those of other pastors, The #MeToo Reckoning is an engaging, thoughtful, and necessary book in these times that Jesus asks of his church, 'What will you do with me?'" Ruth Everhart is pastor of Hermon Presbyterian Church in Bethesda, Maryland. She is the author of Chasing the Divine in the Holy Land and the Christianity Today award-winning memoir Ruined. She has written for publications such as the Christian Century, Sojourners, Christianity Today, Outreach magazine, the Washington Post (Acts of Faith), Patheos, Religion News Service, and Today's Christian Woman. Ruth earned a BA from Calvin College and a Master of Divinity from United Theological Seminary of the Twin Cities. She lives in Sterling, Virginia, with her husband, Douglas.